We've been in Los Angeles since Saturday combining sightseeing, a family wedding and catching up with friends over a harried few days. 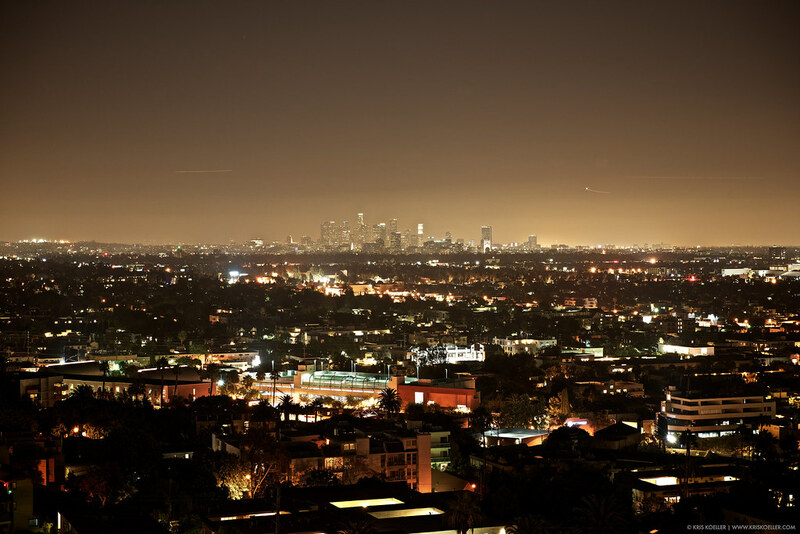 This photo was taken from the rooftop of the London Hotel in West Hollywood. There isn't much of a skyline in Los Angeles, and without the benefit of a telephoto lens, this is the best I could do. I have a strange relationship with LA. Every time I visit I have a great time because there's so much to see and do. But despite living in California for 15 years (in San Francisco), LA feels very foreign to me and I really can't imagine living there. I suspect mostly because I hate driving and loathe owning a car, both of which is a necessity in LA. There are plenty of familiar stops; In-N-Out Burger, Peet's Coffee and even Safeway (living in New York, I really miss Safeway). I'm fine enjoying LA as a tourist and occasional visitor.